I have been coveting a new right hand ring for some time right now but not sure exactly what I am wanting to adorn it with just yet. This beauty from one of my favorite local stores in Beacon Hill called Good has been lingering in my mind and might have to become part of my family asap. 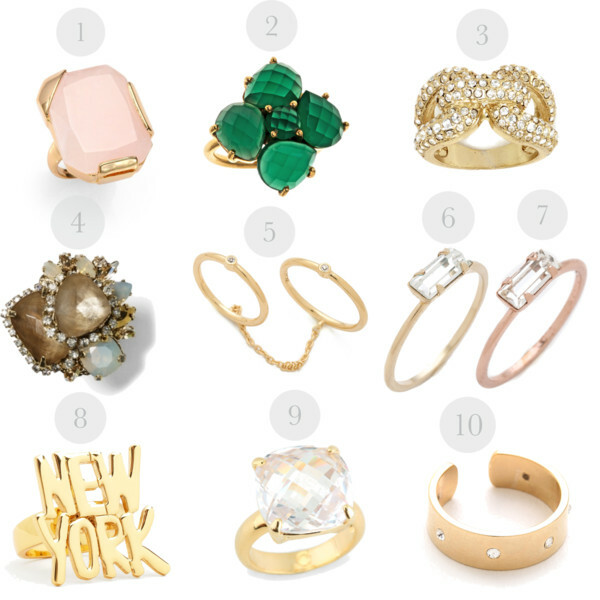 Cocktail rings are definitely a favorite of mine next to the beloved statement necklace and in my opinion the bigger the better but I know the dainty ring trend is huge right now so I threw a few of my favorites in the mix to give a variety of fabulous styles at all different price points. Which is your favorite?? ?